Home did you know health benefits pineapple sore muscles Did you know? 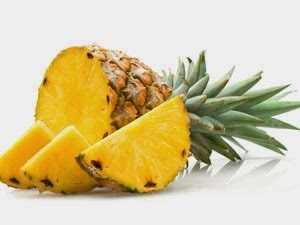 The yummy pineapple heals damaged tissues. Nibbling on 1 cup of the juicy fruit a day helps soothe sore muscles in as little as 10 days. The credit goes to enzymes in the fruit that break up fibrin - a tissue-irritating protein that builds up in damaged muscles. Choose fresh or frozen pineapple - canned won't offer the same benefits since the enzymes are destroyed when the fruit is heated. I loved pineapple and I always buy though it's a bit pricey! Plus the benefits that we can get from it. Wow I did not know that! Thanks I love fresh pineapples and smoothies!